Shauna Lynn has been teaching and guiding aspiring home stagers and other local entrepreneurs for years. Hundreds of students of all levels have heard her speak by way of the Business and Education Program (BEP) of Waterloo Region, as well as special guest invitations at Conestoga College and Sheridan College. She offers mentoring services through her local Small Business Centre, and hosts several workshops each year covering various topics, including a Home Staging Career Workshop. Shauna Lynn inspires others through her passion and dedication to sharing her expertise with those individuals interested in a creative design future. Since joining the Beyond The Stage Homes team and completing the SLS Academy training program, I have continued to learn first-hand from Shauna Lynn and my confidence as a Home Stager has grown leaps and bounds. Her hands-on guidance and training, and genuine interest in every person she mentors leaves you feeling fully confident and capable of being a successful Home Stager. This has been the best investment I have made in myself and in my future. 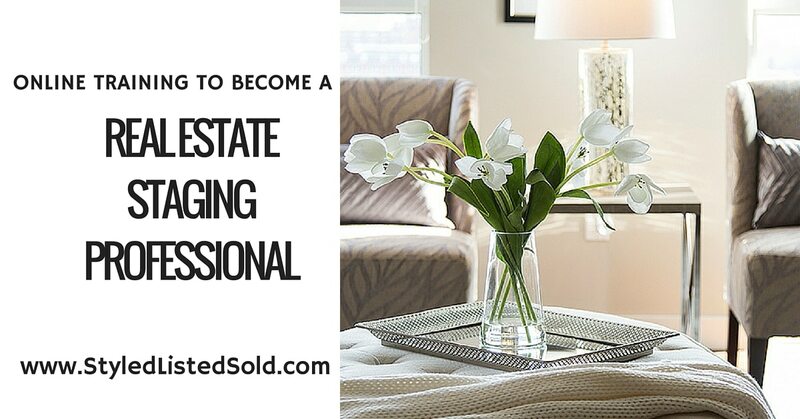 The Real Estate Staging Professional Course is full of informative content that I have been able to apply to my business and personal home-styling. This on-line course is simple to navigate and is well designed– making it easy to revisit for reference &/or review later in your career… The knowledge gained during this on-line course totally surpassed my expectations!!! Founder, Shauna Lynn Simon’s expertise of; business, motivation, empowerment, style & partnership has made this experience enrich my life and made my dreams a reality. Well done SLS Academy, I am honored to be a student. Shauna Lynn is always prepared and very knowledgeable about the Home Staging field. Her years of experience in design and home staging allow her to speak with great confidence about the ups and downs of running a Home Staging business. Lots of good information and stories and photo examples to accompany the course content!…I had done a lot of research and attended information sessions for other home stager training programs prior to learning about the SLS Academy. My search stopped there. Shauna Lynn’s approach blew the rest out of the water with her real-life perspective. Never did she say that starting a home staging business would be easy – and she is absolutely right. But the abundance of resources and tools she provided (not to mention the in-person job shadowing opportunity) were exactly what I needed to launch my business systematically, confidently, and successfully. I am now 8 months into my business and the post-course support she provides is also a huge asset. I would highly recommend the SLS Academy’s RESP Certification Training! She tells it how it is and really opens your eyes to what home staging really is. I chose SLS Academy because I wanted to learn from Shauna-Lynn. I admired her work and how she built her own business. I enjoyed her straight-forward approach during the free info session. I also appreciated that she was local and gave back to our community. I really enjoyed the course and feel there is a lot of value to the in-class, but also the job shadow and coaching opportunities. I really enjoyed taking this course. It is full of detailed information regarding all aspects of home staging from the basic “what is home staging?” to wall art hanging heights and what to look for in a home. I appreciate all the time and effort that went into the content of this course as well as all the downloads and personalized templates. I highly recommend it for anyone that is interested in home staging. I feel that I learned way more information than I originally thought would be included in the course and I completed it feeling confident in my knowledge and what was presented. The value for what you get it incredible. I am so happy to have finally taken the step in becoming a Stager. The process was easy and the classes were both very informative and fun. Shauna and Marina were very helpful and encouraging and I’m very excited to start my new adventure! Attending SLS Academy was one of the best things I did for myself! Not only did I gain valuable information and the tools to become a successful stager, but it has given me the confidence to follow my passion. Thank you Shauna, you have been such an inspiration! These girls clearly love their jobs and it really shows through their enthusiasm! This got me excited for a potential future in staging.